It is now mandatory for banks in India to strictly issue standardised and enhanced new format of cheques called CTS-2010. The CTS-2010 Standard cheques will be replaced within 31st December 2012. So it is necessary for all to understand how your new cheque format looks like. Read the Benifits of CTS-2010 Standard Cheques here. 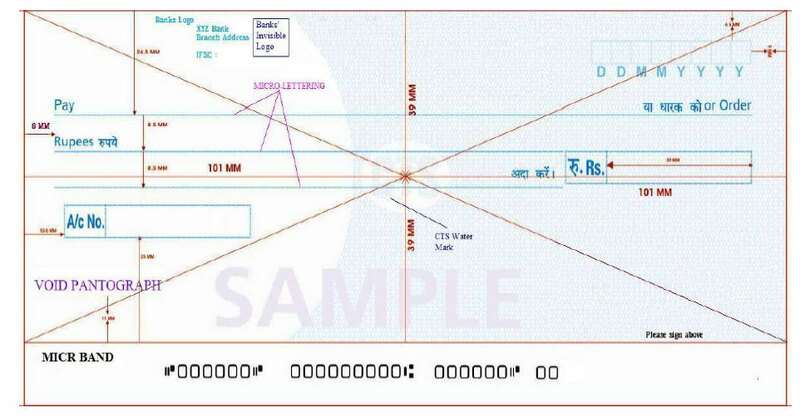 Below is the Sample of CTS-Standard Cheque issued by RBI(Reserve Bank of India). If you are not having the CTS-0Standard Cheques, Please consult you Bank to Process the availibility before December 31st, 2012.